You must make reservations at least 5 minutes in advance of the time at Kestè Wall Street. Roberto Caporuscio was born and raised on a dairy farm in Pontinia, Italy, an hour outside of Naples. After training with the best, Roberto came to the United States where he opened several successful pizzerias, and ultimately settled in New York City in 2009, and established Kesté Pizza & Vino. 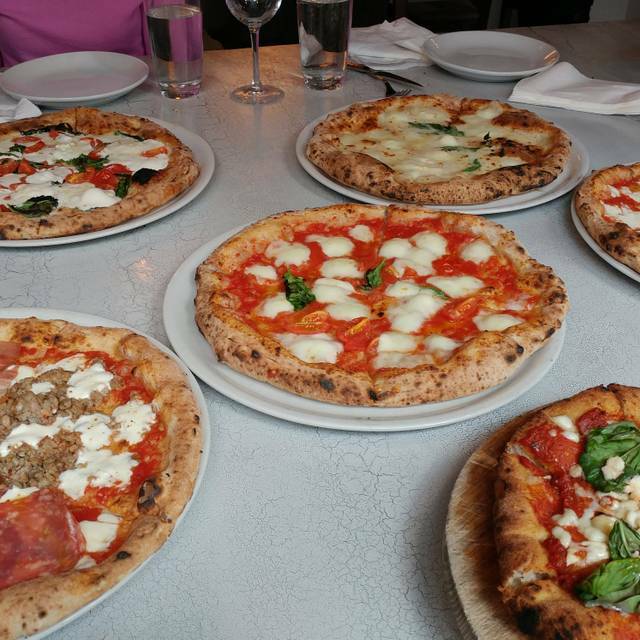 Kesté, meaning “this is it” in the dialect of Naples, is an authentic Neapolitan pizzeria. 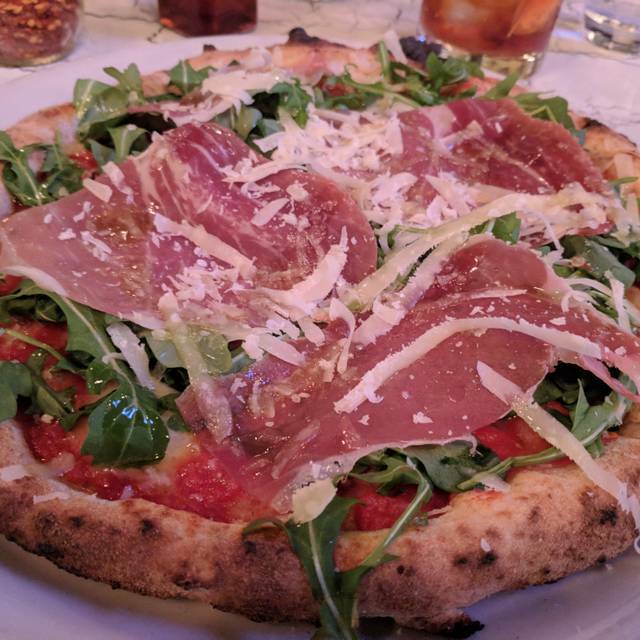 At Kesté, pizza fans can indulge in an expansive assortment of 50 traditional and creative wood-fired Neapolitan style pies, crafted from the finest ingredients, including homemade mozzarella. 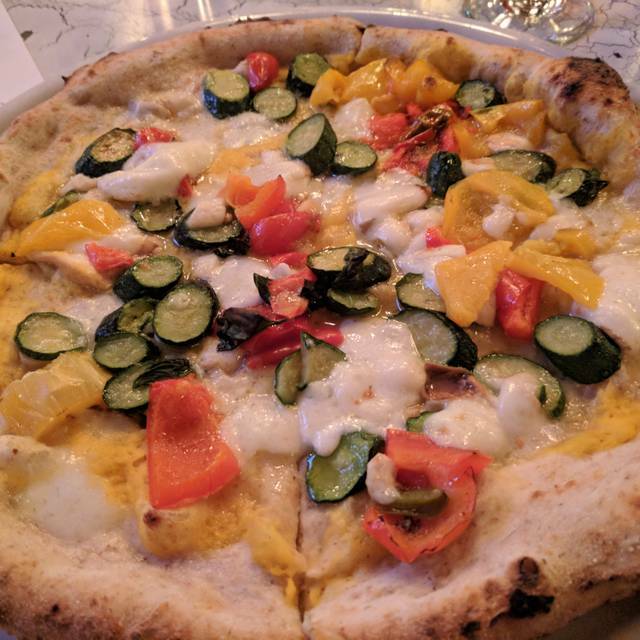 In addition to several red, white and specialty pizzas, the menu also showcases an assortment of gluten free pizzas as well as several vegetarian and vegan options. This was my third visit to the restaurant. The service was noticeably different. It felt like we were being ignored. I saw Kestè on a show about pizza. They talked about their fried pizza and I had to try it. It was awesome! They have a strawberry purée and Prosecco drink that was an amazing start to the meal. My party had the signature fried pizza and the prosciutto and arugula pizza. Both were amazing! Will definitely be visiting again. Kestè takes something simple and by using such quality ingredients, makes it outstanding. Their food is delicious. Not the kind of pizza that you want to scarf down. Each bite is delicious. Enjoy! Food & Service were both Great! This was my second visit and I will definitely be back! The pizza was delicious, and the lunch prices were so reasonable. I will definitely be back often! Ottima pizza veramente da provare. Personale simpatico ed alla mano il che non guasta mai. Excellent food, especially the gluten free pizzas and starters. Service was great. Would highly recommend making the effort to get here for a great meal! I highly recommend Keste. You're not going to find more flavorful ingredients in a pizza anywhere! Fairly authentic Italian pizza. Decent all round restaurant. Very pleased. Food was delicious, value was great, service was great. Excellent pizza & calzone. Unique flavors, traditionally served. Knowledgable staff. Owner present and engaged. Best pizza we've had in NYC after 20+ different eateries. A must stop. I love this place. I am Italian 100% and pizza here is authentic 100%. Roberto, the owner, is just the best ever. They have big table for large groups and it is absolutely kids friendly. The ingredients are fresh and tasty. This is the best pizza in the neighborhood! Say at bar. Bar tender was okay. Pizza was delicious but not the best neopolitan. Overpriced for what it was. 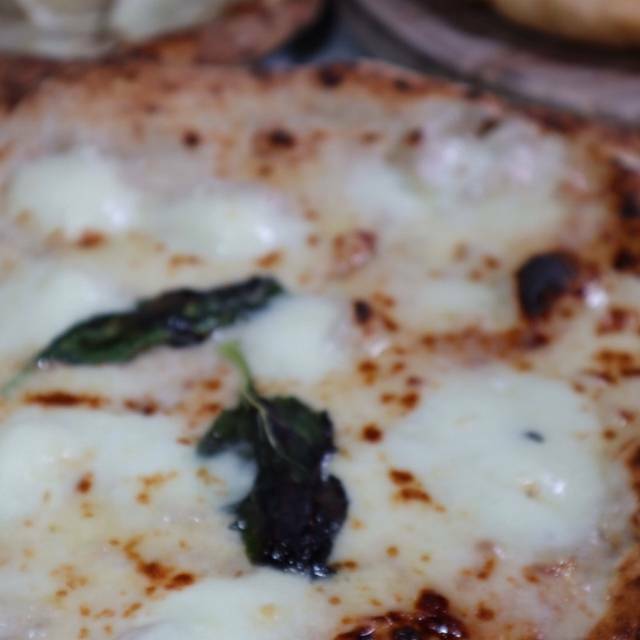 Pizza margarita with mozzarella di bufala was superb! That was the main reason to come to this place... highly recommended! Excellent! Love the less-chaotic vibe of Fulton over Bleeker. Very accommodating staff. 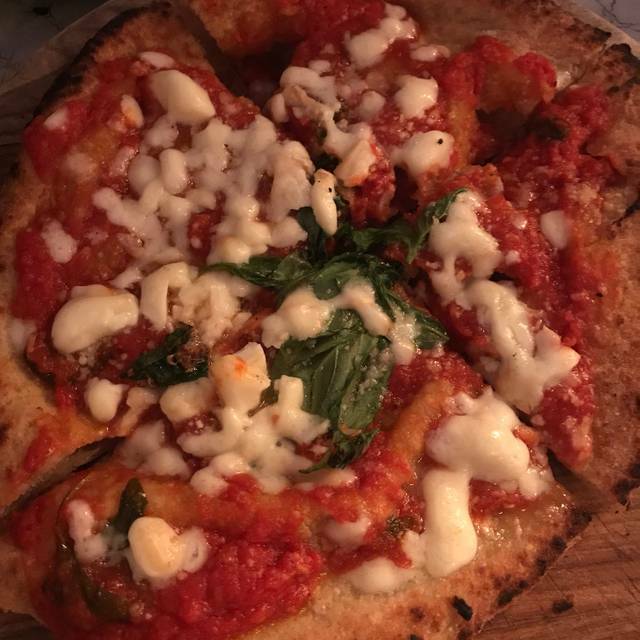 I went to try the montanara fried pizza dough and it was amazing! I will definitely be back! 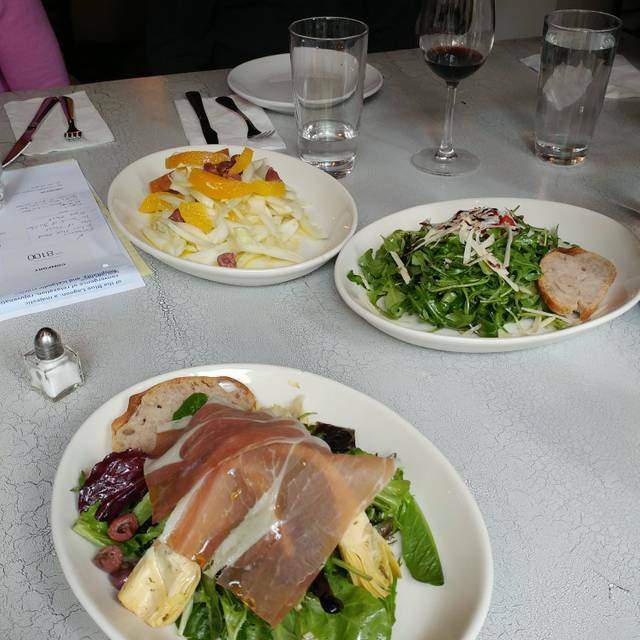 great place for pie and salad and their tiramisu was outstanding. Good wait staff and informal. Recommended. Second time here. Once as couple, now part of group of 10. This place always exceeds no matter the size of the party or their dietary requirements. Pizza non all’altezza! 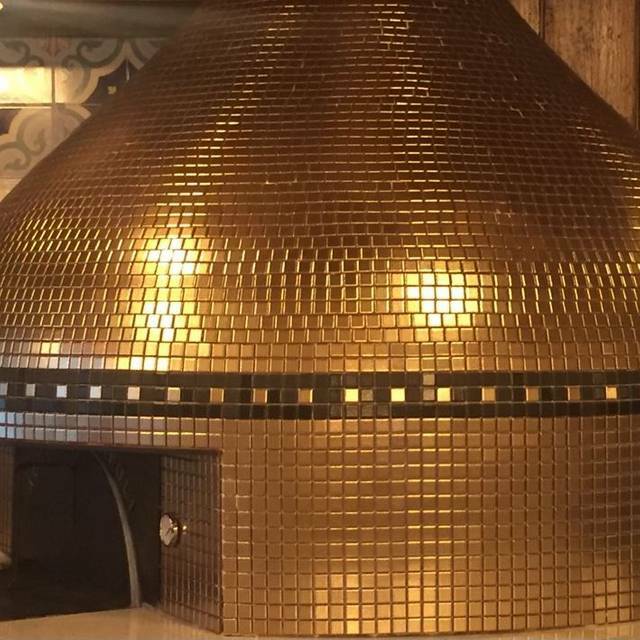 Ci sono di gran lunga a ny pizzeria molto molto meglio. Very good place to catch lunch, loved the service and the prices. Very reasonable. $24 for a “specialty pizza” and $10 for a beer is a bit pricey but the food was good. Just beyond overpriced. Neighborhood gem. The pizza offerings are numerous and the gluten free options just add to the attraction. The pizza is very good, and the Gluten Free pizza is the best I ever had. The only thing is that for pizza, It’s extremely expensive. Each personal pizza costs $25 plus so if you go with four people you’re paying $100 for pizza. I love the dough they use for the pizza and the fried pizzas are delicious. They're light on cheese which is ok with me but maybe not for everyone. Best thin crust pizza in NYC. And if you are looking for Gluten Free pizza look no further.. The most fabulous pizza that I’ve ever had. My daughter who doesn’t eat crust devoured the entire thing! Lots of vegetarian choices. Food was great and quick! Our waiter was great. The hostess had a major attitude and was rude. Get rid of the hostess and the place is 5 stars. Just as good as Bleecker St. but with reservations. We picked a good time, not too busy, they still had a few tables left. All Italian crew makes the experience even better. Nice ambiance; the vegetarian pizza tasted great. I’ll definitely come back. Next time, I’ll try wines and antipasti. Very disappointing; especially considering recent write ups in the press. The pizzas were fine but nothing spectacular. But everything else just wasn't right. Service was slow, the chairs were harder and more uncomfortable than benches on old subway trains, the restaurant does not have grated cheese and oregano for anyone who wants to add those to a pizza (no kidding) and if you ask for water it comes warm and you have to beg for ice. Dieses Restaurant ist definitiv ein Besuch wert. Der Laden bietet ein schönes Ambiente, mit etwas Glück bekommt man einen Tisch in einer der Nischen, sodass man das Gefühl hat fast alleine zu sein. Allerdings erinnert der zum Teil recht hohe Geräuschpegel dann doch an die anderen Gäste. Das Essen selbst ist hervorragend. Alle bestellten Pizzen sahen nicht nur perfekt aus, sondern sie schmeckten auch so. Zudem gab es wegen dem „National Pizza Day“ auch noch Rabatt auf alle Pizzen. Einzig der Service hatte an dem Tag einige Schwierigkeiten; so kam eine Pizza erst gar nicht und dann auch noch die Falsche. Dennoch gilt: Wer echte neapolitanische Pizza essen möchte ist hier genau richtig. I didn’t love the pizza as much as I did during previous visits, but I think I made wrong choices. Should’ve stuck to the red sauce pizzas I’ve had before. Also found it bizarre that the hostess made me wait for the rest of my party (one person) to arrive before she could give me a table, because the entire restaurant was completely empty at 6pm, and also didn’t get busy during our meal. We drive 3 hours to meet family who drive an hour to eat here and enjoy the most amazing gluten free pizza and regular pizza. In fact, our non gf family love the gf. 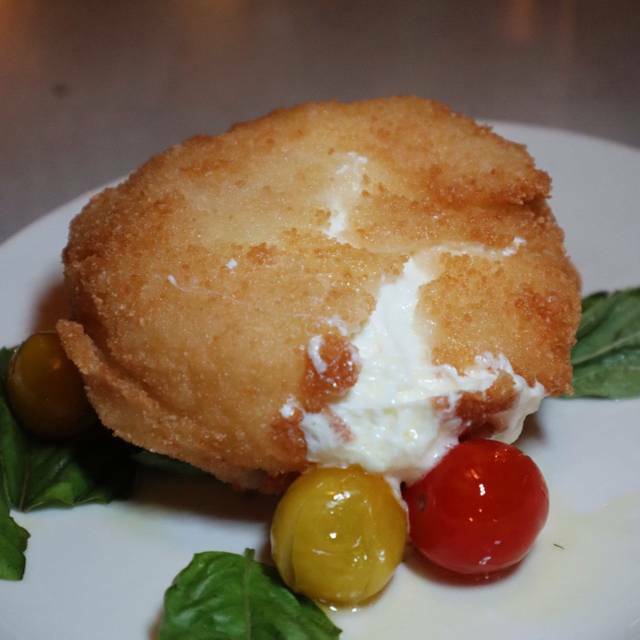 Authentic style and flavors of the Amalfi coast. 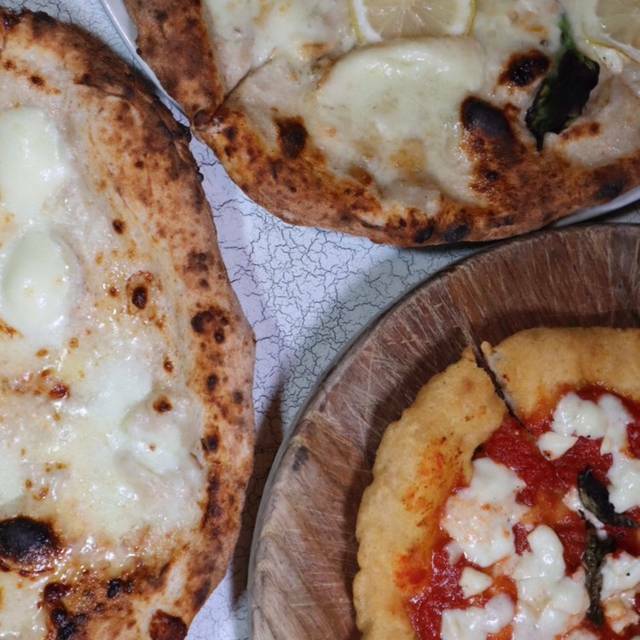 The truffle pizza and burratta had our table moaning. Only disappointment was that we went on a Sunday this time and were told they do not use their fryer, so we couldn't have the delicious Arancini.